Music has always been in the hearts of people all over the world and due to this we have seen a huge selection of music based games land on the various console platforms and the newest of these due for release in September is Rocksmith from Ubisoft. 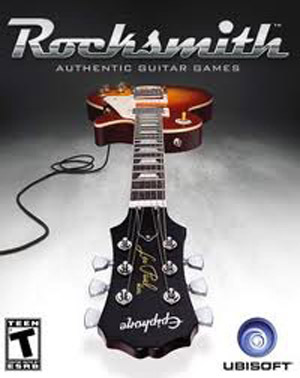 This game is very similar to guitar hero as it gives the player the chance to perform and learn many different types of rock music by using the tools that are provided within the game. We have played many music games over the past few years and many of them have been brilliant but unfortunately this new music game does not deliver as well as we would have expected. The game offers nothing different to the other games of this type currently available and if we are honest it does not do the job as well as these other games either. We found the controls to be quite confusing and less accurate than you would expect which drains the enjoyment of the game which is quite disappointing. The only saving grace of this game is the fact that the graphics are so good as they have been crafted perfectly for this game so it is a shame that no other aspect of the game matches up to this. We have compiled a Review System for this, of which Rocksmith is Rated as Three Stars, the third highest score from the Game Review Team.